Barnsley chief executive Gauthier Ganaye has left the club to take up a similar role with French club Nice. The Sky Bet League One Reds announced Ganaye will officially start his new role on February 1 and Paul Conway will assume the role of chief executive at Oakwell until a replacement has been found. Barnsley and Ligue 1 club Nice are both owned by Chinese/American businessman Chien Lee. "Barnsley Football Club can confirm that Gauthier Ganaye will join OGC Nice on February 1 2019," read a statement on Barnsley's official website. Conway, co-chairman of Barnsley and also on Nice's board, said: "Gauthier has been an incredible servant to the club and the Barnsley community. "He has worked tirelessly to strengthen our club both on and off the pitch. Gauthier will always be part of the Barnsley family and we look forward to seeing him at Oakwell. "To ensure a seamless transition and continue the club's goal of automatic promotion this season, I will assume Gauthier's responsibilities until we can make a further announcement." Ganaye was appointed to his role at Oakwell by former Barnsley owner Patrick Cryne in the summer of 2017. Ganaye said: "I will always be grateful to Patrick Cryne for giving me the opportunity to become chief executive of this great club. "I have enjoyed every minute of my time here and I believe that we have built something together that everyone can be proud of." 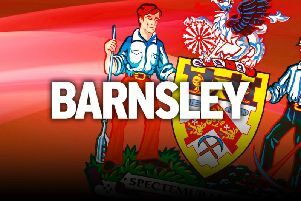 Barnsley, relegated from the Championship last season, are currently third in the table, six points behind leaders Luton with a game in hand. Billionaire Lee and American businessman Conway headed a consortium that completed a takeover of Barnsley in December 2017.